Lawyers describe it as the domestic equivalent to a CIA black site. Their clients “disappeared there” for 12-15 hours before being arraigned. A man died there. Another man left with a head injury. A teenager went missing. 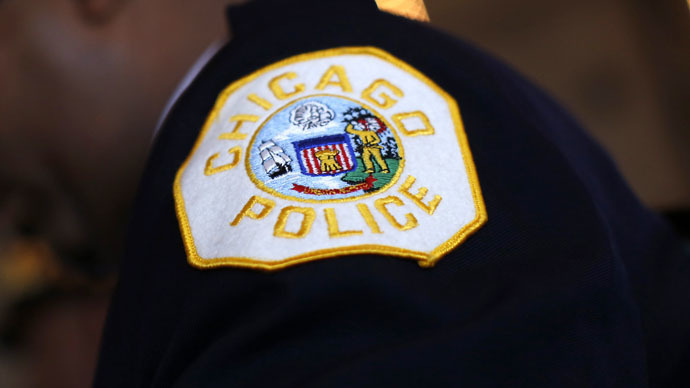 According to a report published in the Guardian, though, this site is being run by the Chicago Police Department out of Homan Square in the city’s west side. And those operating the facility are denying detainees constitutional rights such as access to attorneys and legal counsel. READ MORE:Gitmo torturer allegedly had long history with Chicago Police Dept. The newspaper spoke to an alleged former suspect at the site and several local attorneys who reported the Homan Square compound was being used to deny people their Fifth Amendment right to due process and Sixth Amendment right to an attorney. The compound houses military-style vehicles, interrogation cells, and a cage. However, many lawyers wouldn’t talk to the Guardian about their experiences with Homan Square for fear of police retaliation. One man who said he was held and questioned at Homan Square back in 2012 was Brian Jacob Church. He and 11 others were taken there after police infiltrated their protest against the NATO summit. Church said officers cuffed him to a bench for an estimated 17 hours, interrogating him but not reading him his Miranda rights to remain silent. After another three hours, a lawyer visited him through a wire cage. Church said he was released and charged with terrorism-related offenses at a nearby police station, where he signed papers and was fingerprinted and photographed. Church’s lawyer, Sarah Gelsomino, said the raid of protesters attracted media attention, but a team of attorneys could not find Church despite 12 hours of active searching, as no booking record existed. Only after Gelsomino and others called the offices of Mayor Rahm Emanuel and the city’s lawyers did they even learn about Homan Square. Lawyers and relatives say there is no way of finding out an individual’s whereabouts once they are assigned to Homan Square. Those lawyers who attempt to gain access are turned away even though their clients are inside. “It’s sort of open secret among attorneys that regularly make police station visits, this place – if you can’t find a client in the system, odds are they’re there,” said Chicago lawyer Julia Bartmes. In February 2013, 44-year-old John Hubbard was reportedly found unresponsive inside an interview room at Homan Square, taken to hospital, and pronounced dead. The Chicago Sun Times said there was no explanation as to why he was arrested and held in custody, and the Cook County medical examiner has not provided a record of Hubbard’s cause of death. The Guardian was not able to find out anything further. The Guardian’s allegation of a Chicago black site follows revelations last week that longtime Chicago police detective Richard Zuley assisted in interrogations at Guantanamo Bay in 2002. At Gitmo, Zuley reportedly threatened detainees with death, placed them in cold rooms, and orchestrated situations in which prisoners were beaten and led to believe they were going to be killed. The Intercept noted that Chicago police have a controversial record of human rights abuses, from 1968 when police beat Vietnam War protestors at the Democratic National Convention, to the assassination of Black Panther Party leader Fred Hampton in 1969 during an operation involving the FBI and Chicago police. Former Chicago police detective Jon Burge was released from prison after serving time for perjury and obstruction of justice in connection to his alleged torture of more than 100 suspects.